And these harmless yet unprofessional little outbursts are what keeps me out of respectable society, ladies and gentlemen. But yes, I was privileged to take part in another episode of The Spoiler Room. That show has been focusing at least one episode a month on the myriad of notable films celebrating their 25th anniversary in the year 2015. For this episode, the spotlight is shined on two creature features that were aimed at the youngsters. 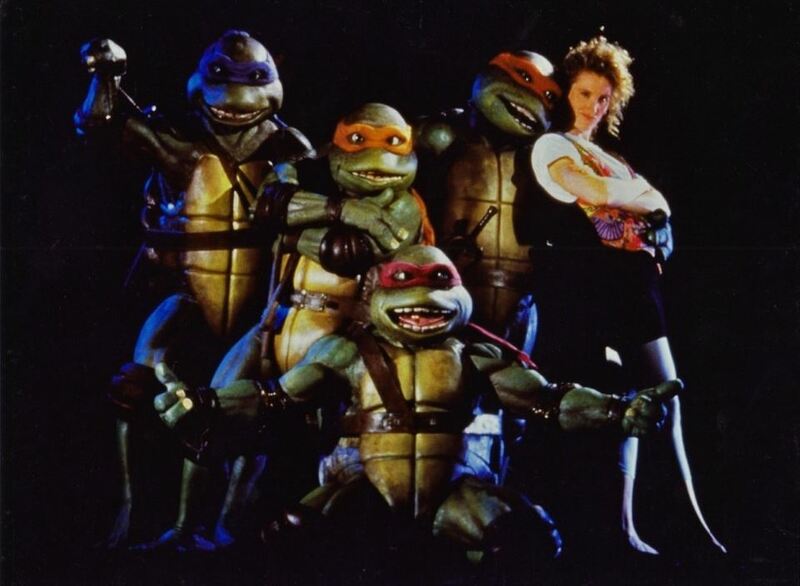 TEENAGE MUTANT NINJA TURTLES was the first cinematic adaptation of the Eastman and Laird comic book which was previously transformed into a much more kid friendly cartoon. Also, SPACED INVADERS was a low-budget comedy that was somehow picked up for massive distribution from Disney’s Touchstone Pictures division. Discussing these films, our reaction to them way back when and how well they might hold up today, I am joined by Glenn Buettner, Cole Meredith and of course, host Mark “the Movieman” Krawczyk. But that’s not all. Once you’ve listened to the episode, buckle up and fire up an in-depth interview Krawczyk did with SPACED INVADERS director, Patrick Read Johnson. Johnson discusses the origins of his sci-fi comedy, the many ingenious special effects and the whirlwind of its release. The episodes are for the over 18 crowd. So, make sure the kids are away, click on the links and remember why you love being a turtle.